Singapore Sports and Orthopaedic Clinic is recognized nationally as one of the most highly respected pediatric orthopaedic clinic. Each year our clinic sees many thousands of patients ranging in age from infancy through adolescence. These children seek specialized medical and surgical care for a variety of musculoskeletal diseases and injuries. Our mission at Singapore SPORTS and Orthopaedic Clinic is to be the local leader providing orthopaedic care to children while also being regionally and nationally recognized as an innovator in tertiary services through excellence in clinical care, cutting-edge technology, teaching and research performed in a supportive and cooperative atmosphere for patients, families and colleagues. Many innovations in treatment and surgical techniques have come from the Dr Kevin Yip at Singapore SPORTS and Orthopaedic Clinic and the practice continues to be one of the busiest pediatric orthopaedic clinic in the Singapore. We aim to provide comprehensive orthopaedic care for all patients. Our expert team of staff and nurses specialize in treating babies and children with congenital, developmental and traumatic musculoskeletal conditions. Our team is committed to provide superior orthopaedic care for children. As a well-recognized Center, children from everywhere, not only Singapore, receive top-quality care for their orthopaedic conditions. 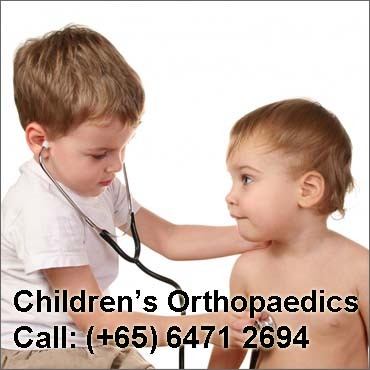 If your child has an orthopaedic problem, do give us a call at (+65) 9724 1219 (24 hrs) to schedule an early appointment. My name is Sue Parry and I’m a sports physio – currently involved with children who play up at Dempsey. I am looking to make links with appropriate paediatric Orthopaedic surgeons and to understand the process of referal both in elective but also emergency situations. I have been advised that all children should go to KK but obviously your location is much more appropriate and convenient and we need to have different options available. I would be very interested in coming to your department to look at your areas of speciality and what pathway I could develop to ensure that the children (and families) get the best possible outcome and experience. My phone number is 9388 1905. Iwould be grateful if you could contact so that we could arrange to make a time to possible meet Dr Yip?